Can you tell which problem is from a test designed to assess the skills of high school students, and which problem is from a notiously difficult test used to rank applicants for graduate school? A student needs to get 70 to 80% of these questions correct to be eligible for the top graduate schools in the USA (MIT, CalTech, Harvard, Stanford, etc). 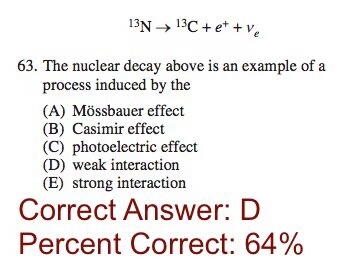 The same percentage is required to achieve a “7” (the top grade) in IB Physics. 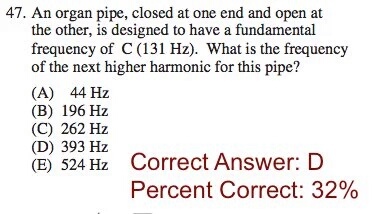 The GRE consists of 100 of these multiple-choice problems. For IB physics, it is 30 or 40 (depending on the level) and then two more papers with longer-form questions. 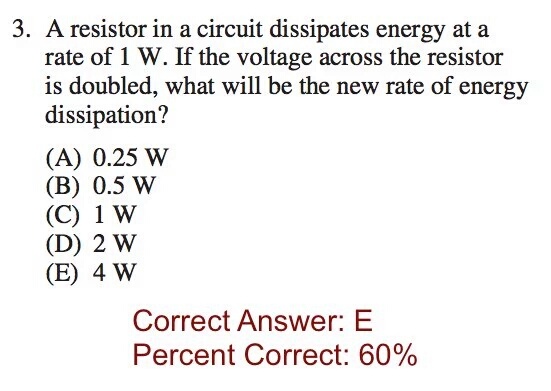 Students generally find the multiple choice questions easiest. This entry was posted in Uncategorized on April 30, 2016 by Danny.